Here comes the weather, again, and if you’re flying it’s more likely than not your flight will be cancelled or delayed. In fact, a new analysis shows the highest number of flight cancellations this winter in a quarter-century. 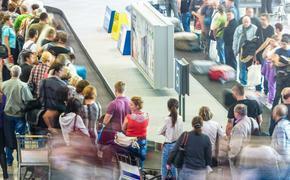 Rather than risk hefty fines thanks to new government regulations regarding time spent on the tarmac – and because cancelling a flight more sooner than later saves time and money – the airline industry is quicker to scrub a flight. That has led to more than 75,000 domestic flights being cancelled since Dec. 1, according to The Associated Press, including 14,000 last week alone when the northeast was slammed with up to 20 inches of snow and the southeast was shutdown by a wintry mix. 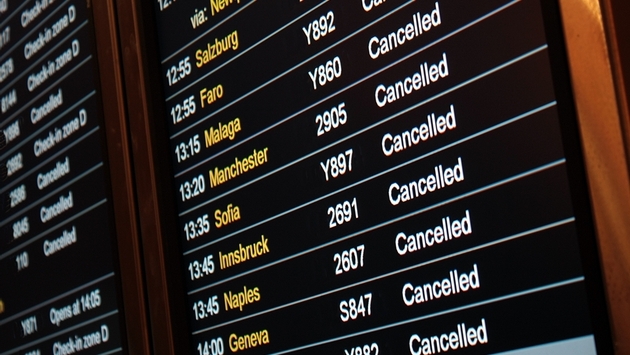 The combined cancellations have accounted for 5.5 percent of the 1.35 million flights scheduled to take off since Dec. 1, according to AP calculations based on information provided by flight tracking service FlightAware. In fact, FlightAware stats show numerous delays and cancellations again this morning. As of 11:30 a.m. EST, 1,644 flights into or out of the U.S. have been delayed and 792 have been cancelled. New Jersey’s Newark Liberty International, one of three main airports that service the New York City area, has been hit the hardest with 23 percent of its incoming flights cancelled so far and 22 percent of its outbound flights cancelled. That just adds to that total of 75,000 flights cancelled since winter unofficially began on Dec. 1, the highest total number since at least the winter of 1987-1988, when the Department of Transportation first started collecting cancellation data, according to the AP. Between the new rules regarding the amount of time an airplane can strand passengers on the tarmac after first pulling away from the gate, to the amount of time pilots must rest between flights, to fewer and fewer flights in which to re-book on, the financial strain has taken its toll on both the airlines and its passengers. Probably less so on the airlines, says former American Airlines CEO and chairman Robert Crandall. "This is certainly a catastrophic problem from the standpoint of an individual traveler, but the impact in the long term doesn't amount to much," Crandall told the CNBC program "Squawk on the Street" last week, adding that "90 percent (of the business) comes back."